Frequently Asked Questions #15 - YeastInfection.Org by Eric Bakker N.D.
1. I suspect having swollen lymph nodes. What is the reason? Yeast infection can cause swollen lymph nodes as a secondary consequence to a weakened immune system. Healthy lymph nodes assist the immune system in fighting bacteria, viruses. Swollen lymph nodes are commonly found around the neck. They can also be found around the groin, the armpits. To find out if you have swollen lymph nodes, get a test which can show a complete blood count test. This test will demonstrate the white cell count as well to show if there is an infection, whether a bacterial or fungal infection. Swollen lymph nodes occur mostly with food allergies. To determine if you have swollen lymph nodes, you would be looking for swelling in the affected area. There will be pain and tenderness present. Many patients also have symptoms similar to a cold: runny nose, sore throat, fever, night sweats. To link whether your lymph nodes are related to candida, look for signs of gas and bloating, sugar cravings, body pain, etc. These are some of the signs of a candida overgrowth. The presences of excessive toxins in the body can also contribute to poor health. This can lead in the swelling of the nodes and sore throats. To treat the swollen lymph nodes, always drain the throat from excessive mucous. Massages can also help detoxify and drain the nodes. You can try sweating out to drain the nodes. 2. Why are my white blood cells so high? White blood, part of the circulatory system, has the role to maintain the status of our immune system. It also stops infections from spreading, helps in fighting inflammatory responses in the body. When the white blood cells are high or elevated, there are four things that can cause them: fungal infection, bacterial infection, viral infection, parasitic infection. With a fungi overgrowth, some of it can makes it to the blood through leaky gut which can elevate the white cell count. A reliable way of determining if you have candida is by doing a stool test. A stool test can show us if you have yeast living in your digestive system. Otherwise, there could be many other reasons for the elevation of white cell counts. To come to an informed understanding, you will want to know the type of white blood cells there are. Are they basophils or monocytes? Are they neutrophils or eosinophils? Elevated eosinophils white cells are found in a parasitic infection and allergies. Elevated monocytes are found with certain types of bacterial infections. While elevated white cell counts can be due to Candida, one cannot make the assumption without further investigation. A test is the best way to let us know what kind of infection we are dealing with and then seek appropriate treatment. 3. I have really bad body odor despite being very vigilant about my hygiene. What could be the reason? Body odor can be embarrassing and linked with bacterial and fungal issues. If you are on top of your hygiene and take regular showers and keep clean, it can be frustrating to keep having odor. We will explain, here, how a candida overgrowth can cause body odor. You don’t need to invest in expensive products to get rid of the odor. You can do so simply by eating a healthy balanced diet. Body odor can occur due to poor fermentation in the gut and a toxic liver. If you’re consuming alcohol regularly, bread or refined carbohydrates such as candy, ice cream, you will most likely be dealing with bad body odor. If you follow a good lifestyle which includes eating clean, sleeping enough, chewing well, going to bed on time, you wouldn’t be dealing with bad body odor. There is a link between body odor and Candida. We commonly see it in combination with imbalanced levels of bacteria, yeast in overgrowth, poor levels of beneficial bacteria. It is further worsened by lifestyle and diet that are not conducive to creating really good health. Those who are in good shape tend to not have smelly odor. To help with keeping your gut health in good condition, you can take a probiotic enzyme formula to really improve the upper, middle, and lower digestion. This will help you to get good fermentation and good bacteria. 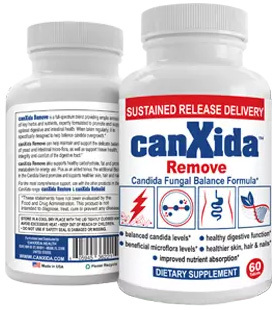 You can try CanXida Restore. The probiotic enzyme formula that was designed very much for these types of conditions.